At Weigandt Development Ltd. we realize how important it is for a company's employee to have a comfortable, productive, user friendly space to work. For this reason, Weigandt not only focuses on the exterior of its buildings, but also the interior. We feel that you should custom design your commercial/industrial interior as you would your own home. That's what we call commercial/industrial building at its best. At Weigandt Development Ltd. we take care of your commercial/industrial design-build needs from conception to project completion. Our commercial/industrial capabilities include land development, professional and office buildings, pre-engineered metal buildings, architecturally correct additions, renovations, retail space, health care, and industrial manufacturing facilities. At Weigandt we guarantee high quality construction services in a timely, cost-effective manner with quality craftsmanship and the personal attention that you deserve. 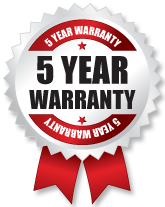 All of our work is backed by a full five year warranty. We self-perform site preparation, excavation, cast-in-place concrete, structural steel erection, wood framing, and much more. As a diversified general contractor, we offer our clients expertise in all phases of construction.